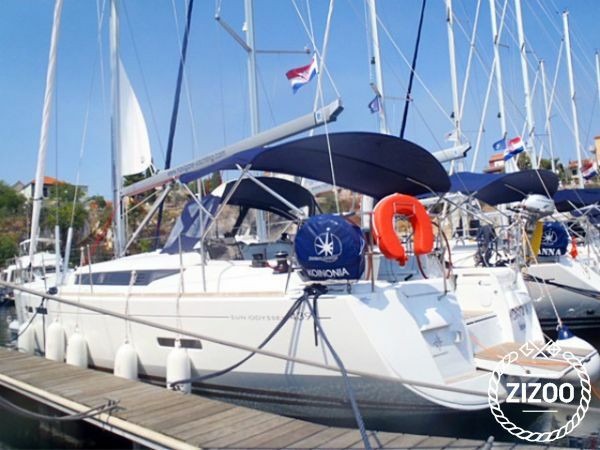 Though we can't pronounce its name, we can tell you that the KoiNnia is a great sailboat to book for your next holiday in Croatia. With 4 cabins, 2 bathrooms, a fully equipped kitchen and a cosy salon, we can't think of a better way to discover the Adriatic Sea. Sit on deck and ride the waves as you hoist the sails and let the wind propel you towards some of the most spectacular destinations on earth. How about spending some time on the island of Hvar. For those who are looking to socialize and have some fun, this is definitely the place to go. Famous for its after beach parties that run from one morning to the next, be happy that your summer attire includes a pair of flip flops, making dancing all night an absolute breeze. Hvar has also become known as a favourite destination for celebrities, both local, but more importantly, international. So for a great experience on the Croatian coast, contact the local charter crew.